According to an article published by CNN Money on July 3rd, U.S. vehicle sales are behind 2016 levels every month this year. If that performance continues, this year will mark the first time since 2009 that industry wide sales declined. Although there still is strong demand for SUVs and crossovers according to the article. But with low gas prices, sales of traditional car models were down across the board. What does this all mean for auto detailing and reconditioning businesses? 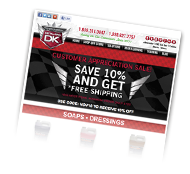 For people that opt to hold on to their vehicle longer and not trade it for a new one increases the opportunity for creative marketing minded auto detailing business owners to obtain more customers and increase revenues. For your advertising and marketing you will want to focus on the value created by having a vehicle professionally detailed. Not only will a finely detailed car look newer but it will provide pride in ownership and if kept cosmetically maintained for the duration of ownership it will increase resale and trade in value considerably. Having a vehicle detailed just before attempting to sell it or trade it in at a dealership could dramatically increase the value. Why do you think car dealerships have their trade ins detailed and reconditioned? The answer is that they know it will bring top dollar whether they retail it or take it to the auto auction. Other profitable added value services that a detailing business should consider offering are paint chip repair, headlight restoration, plastic trim restoration, windshield repair, carpet dying, cigarette burn repair, carpet dying, PDR and permanent odor removal by use of an ozone generator. If your detailing and reconditioning business strictly markets to retail customers you may want to consider offering the above reconditioning services to used car lots as pre owned reconditioned vehicles will be aggressively sought after and sold at a premium price. There will be a very strong market for car dealerships selling fully reconditioned, late model pre owned vehicles more than ever before. Even if these dealerships keep most of their detailing and reconditioning work in-house they will have overflow work for you. 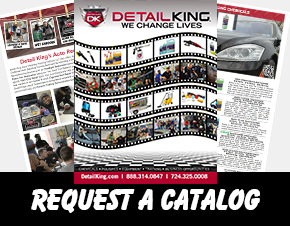 Now is the time to prepare your marketing plan to procure new retail detailing customers and to introduce your business and reconditioning services to local dealerships as they soon will be needing your services more than ever before. With the opportunity that exists on social media channels like facebook, Instagram, youtube and snapchat there is no reason that your detailing business can’t increase sales revenues at least by 20-30% during Q3 & Q4. For car dealerships they really need to promote “fully reconditioned pre owned vehicles” Or “close to new as possible.” Next article will be how to use the various social media channels to grow your auto detailing and reconditioning business.